The quadropule ion trap (Q-Trap) is a particular type of triple quadrupole mass spectrometer. 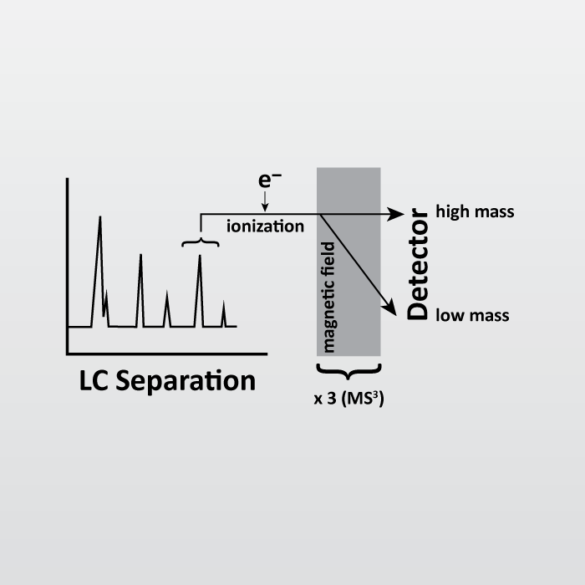 Please refer to LC-MS-MS for a discussion on the triple quadrupole mass spectrometer. The Q-Trap adds the ability to conduct (precursor to product to secondary product ion scanning (or MS3) thus providing additional selectivity. Matrix co-extractants can suppression or enhance ionization potential. May need to employ matrix matched calibrants for quantitation. Reproducibility is often not as good as LC-UV or other LC detectors.